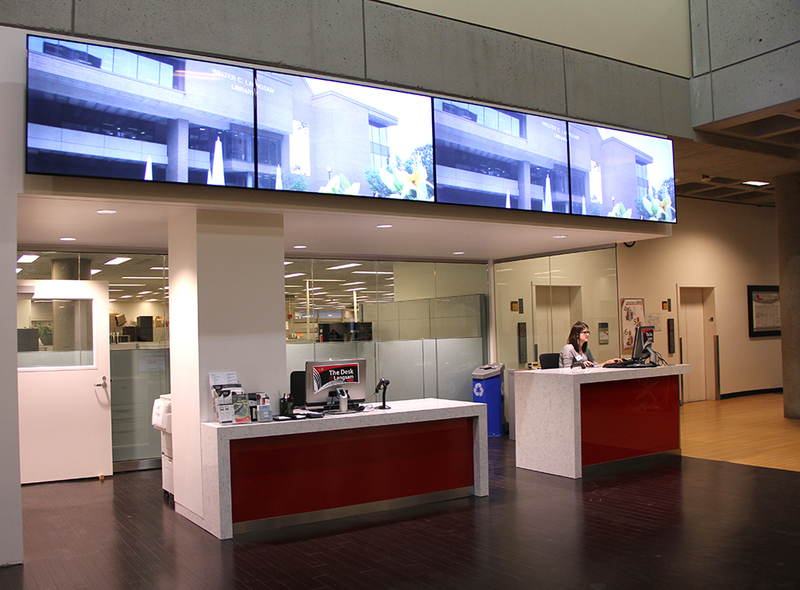 Recent renovations involving the entrances of two UC Libraries locations are providing improved visibility and ease of service to users. February 12 saw the completion of the renovation to The Desk@Langsam, a project to combine two service desks into one, thus simplifying point-of-service for users. The renovation is part of other Langsam 400 level projects currently underway, which include the updated Learning Commons, a central space for the Public Library of Cincinnati and Hamilton County’s Popular Reading Collection, dual-boot public computers, more BYOD space, wrapping of the concrete columns to provide additional way finding and a Starbucks café. It was a joint initiative of the Office of the Senior Vice President and Provost, UC Libraries and IT@UC. 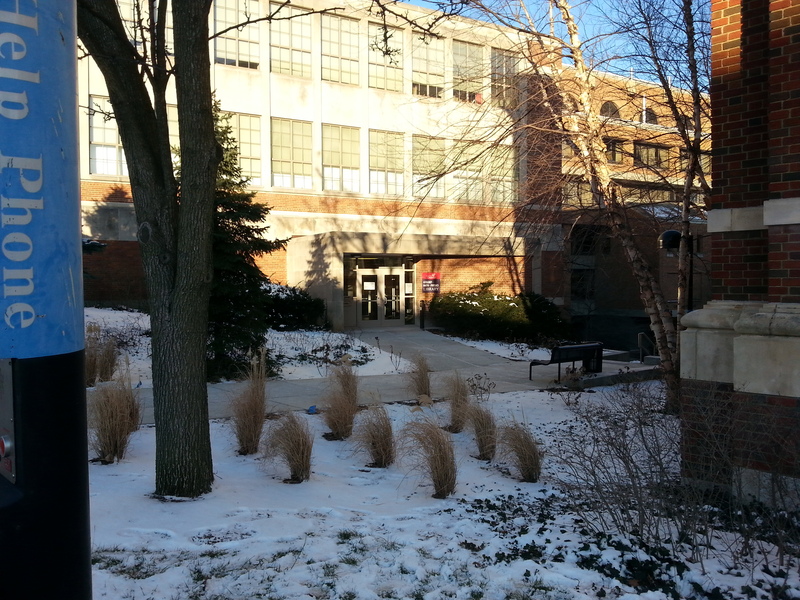 For more on the changes to Langsam – both those completed and planned – read the Libraries blog. Celebrate the opening of the renovated Desk@Langsam! Thursday, February 18, 1:30-2:30pm, Langsam Library. 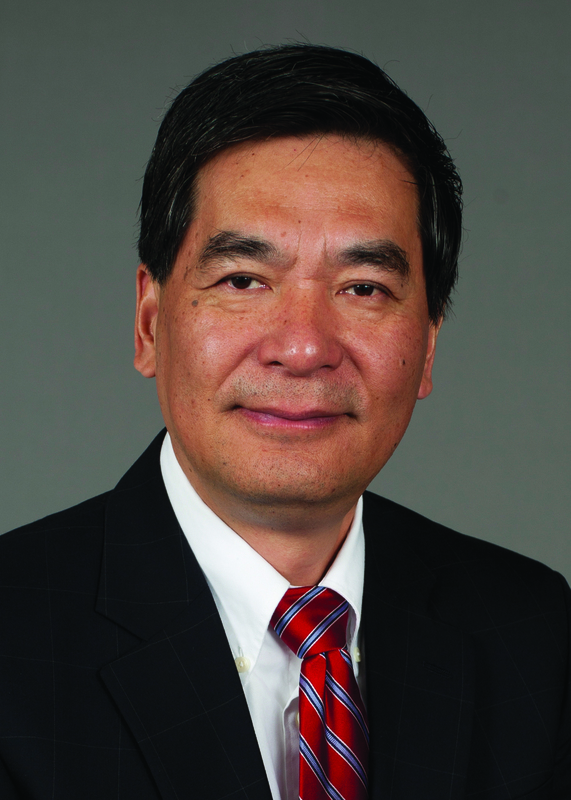 Join us for refreshments and brief remarks by Dean Xuemao Wang and others. The new entrance will allow many people to discover, or re-discover, this library, and to make use of its resources. In just the one month the new entrance has been opened, it has already doubled the gate count for that library as people are better able to find it. Through the renovation of library spaces, UC Libraries is creating exciting and innovative ways to deliver library services in both digital and physical spaces in order to connect to students, faculty, researchers and scholars in new ways and more directly.